If you are facing a criminal matter in the district or supreme court, you will most often be tried in front of a jury. A jury is made up of a panel of 12 people who are randomly selected members of the public. 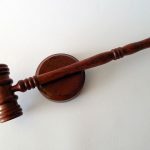 Although it is not possible to choose who is going to be on the jury at any trial, the legal representation for both sides has the option of requesting that individual jurors be removed. They can do this for up to three members of the jury. In a criminal case, the jury is responsible for deciding whether or not the defendant is guilty or not guilty of the charges they face. This is done after the members of the jury have heard all the evidence and deliberated to reach a final decision. Once the jury has given its decision, the judge will determine the sentence. The majority of criminal trials in the district or supreme court are conducted with a jury, but in some circumstances it is possible to have a trial without a jury, where a judge alone makes the decision. This can be done in circumstances where the matter is complex, or if there is a lot of media attention that could make it difficult to find an impartial jury. Jury trials are often represented as the fairest way to decide a criminal matter, but in some circumstances having a judge can actually be a better option. 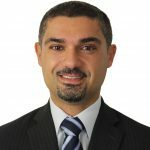 There have been a number of high-profile judge-only trials recently, including that of Simon Gittany, who was last year found guilty of murdering his fiancée. Cases like this have prompted legal experts to consider the value of judge-only trials and examine the limitations of trial by jury. What are the benefits of a judge-alone trial? There are a number of reasons why having a judge-only trial can be beneficial in certain circumstances. When a judge delivers their verdict, they generally have to give reasons for their decision. The process of a trial by jury means that jury deliberations are secret and they do not have to provide any reasons for making their decision. Knowing the reasons why a judge decided on a guilty verdict makes it easier for a defendant to appeal and makes the process more transparent. It can help demonstrate that there was no bias at play and that the decision was made solely on the basis of the evidence provided. With jury deliberations being secret, there is no way to know whether their decision was made from a purely legal basis or for other reasons. As a jury is typically made up of members of the public with little or no legal knowledge it can be difficult for them to understand the complexities of challenging criminal matters, especially where there is a lot of expert scientific evidence concerning financial transactions or forensic materials. Judges have legal training and experience and are able to analyse evidence, know what to give priority to and assess the credibility of witnesses. Although jurors in jury trials are advised to leave their prejudices out of the trial, it is difficult to know whether or not they have done this. 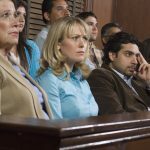 What are the benefits of a jury trial? Advocates of jury trials generally state the benefits of having a group of people making a decision rather than putting the responsibility in the hands of a single person. This can reduce the likelihood that a single person’s bias or prejudices could influence the outcome. Although judges are meant to be impartial and unbiased, if they do have personal bias against a defendant, it may mean that they don’t give a balanced and fair verdict. It is also believed that a jury trial can more accurately reflect the views of the community and society as the jury is taken from a sample of members of the public. A single judge may be out of touch with the views of regular society, and their decision may not reflect the values of the community as a whole. How do I know what type of trial would be best for me? If you are facing a criminal trial at the district or supreme court you may have the option of applying for a judge-only trial or facing a trial by jury. The right decision will depend on your individual circumstances and the nature of the case. It is a good idea to speak to a lawyer as soon as possible if you believe that a judge-alone trial may be more appropriate for your situation. In cases where there is a lot of publicity, which is likely to prejudice potential jurors against you, it may be more beneficial to choose a judge-alone trial. 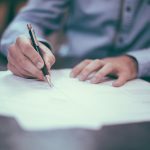 If you are dealing with a complex or potentially lengthy matter, a judge-alone trial may also be better as a judge will have a better understanding of the legal complexities involved.